We Love Australian hyperrealist sculptor Ron Mueck’s ‘Mass’. Its part of the inaugural National Gallery of Victoria Triennial which is showing the work of over 100 creatives from 32 countries. 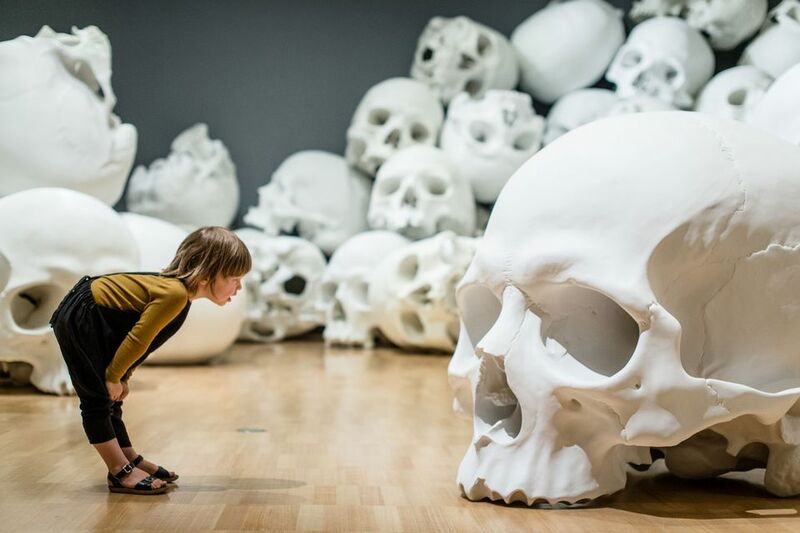 ‘Mass’ is Ron’s largest ever work to date, an installation of 100 individual human skull forms piled up on the gallery floor, each one measuring about a metre high. 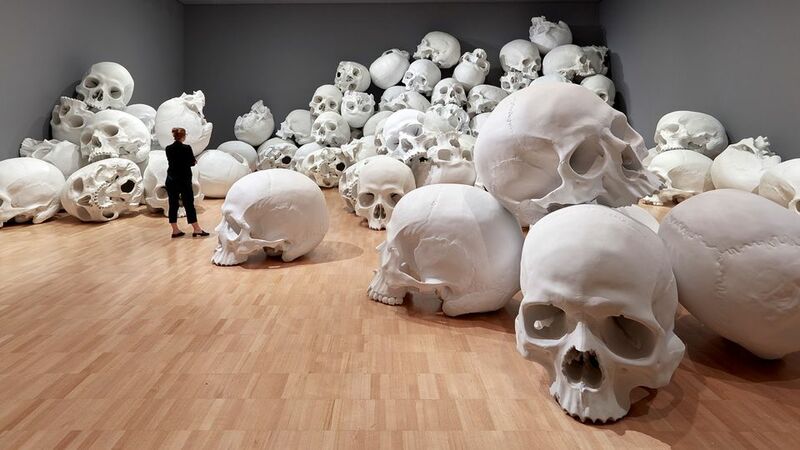 The arrangement of the skulls according to Mueck “Can be reconfigured whenever the work is installed in a new venue”. Mass occupies a room of the NGV’s sumptuous 17th and 18th Century European paintings galleries. 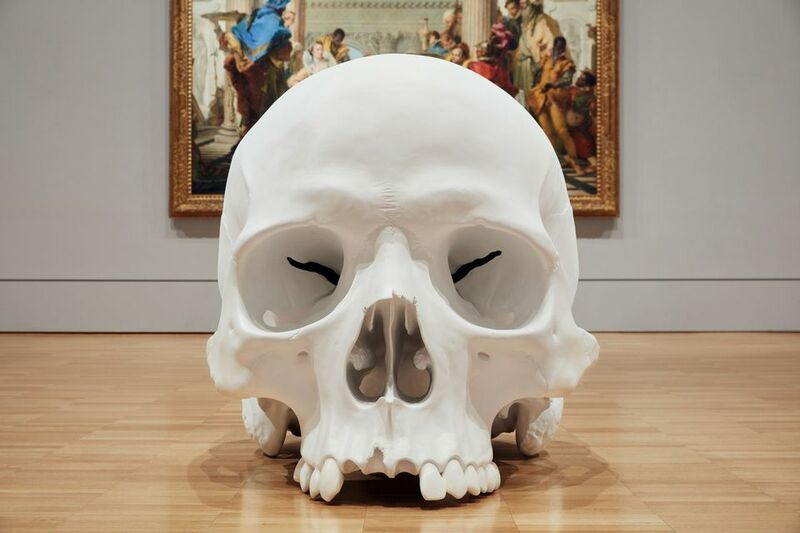 Mueck was in Melbourne for the two painstaking weeks that it took to arrange the skulls with the help of electric cranes. 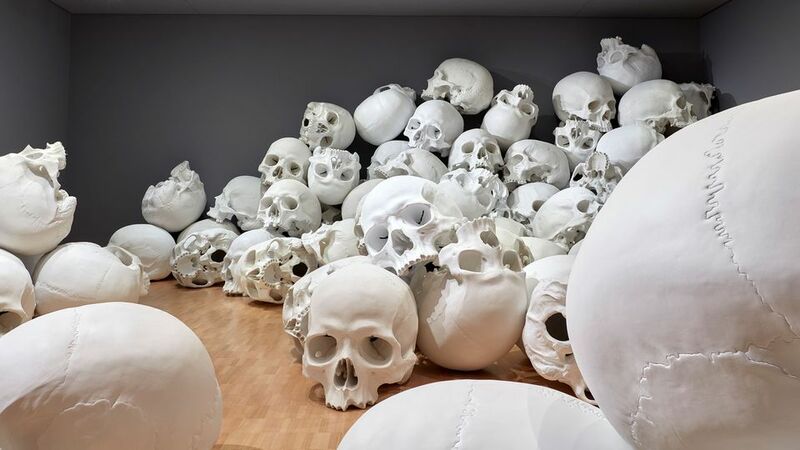 The final placement of the skulls gives the impression that they were once stacked neatly against the rear wall of the gallery but that, owing to the passage of time or to some seismic event, they slipped and rolled one by one until they resembled an unkempt scree of cascading craniums. This entry was posted in ART, EXHIBITIONS and tagged Ron Mueck, The National Gallery of Victoria. Bookmark the permalink.